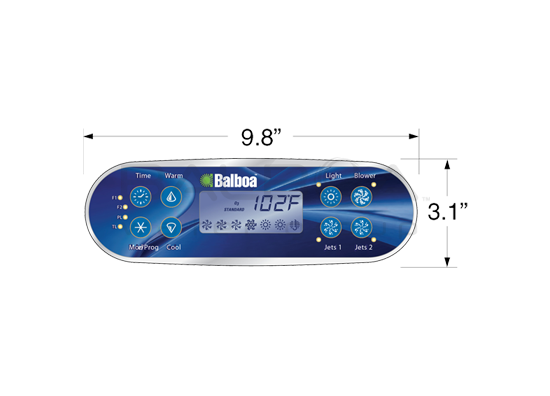 This complete spa pack retrofit kit, is part of Balboa’s Elite line, it targeted at commercial spa owners or owners of residential spas who require some additional sophistication in the control options. 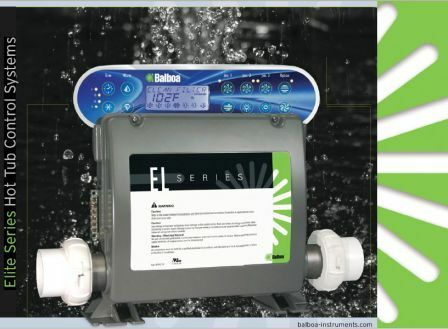 The Balboa EL2000M3 has control options such as ozone suppression, clean up cycle after use, panel lock features, real time clock allowing filter cycles set by time of day and on a 12 hr or 24hr cycle, support of both 12 volt and 120 volt lights as well as fiber optic wheel lights and, importantly, this line supports wireless RF remote control. It uses M7 Technology which is simply the best spa pack technology on the market. Completely digital circuitry means less failure, more accurate heating range (+/- 1 degree F). 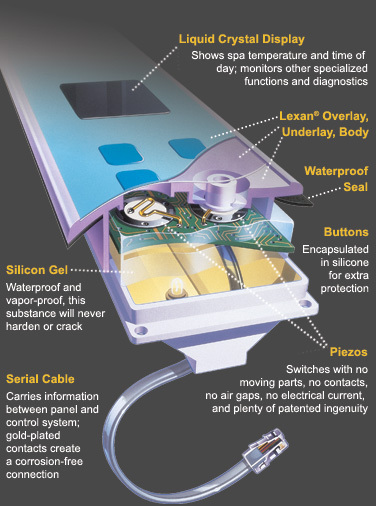 The standard retrofit kit comes with the sophisticated 8-button ML700 LCD top-side control panel (other panels are available). 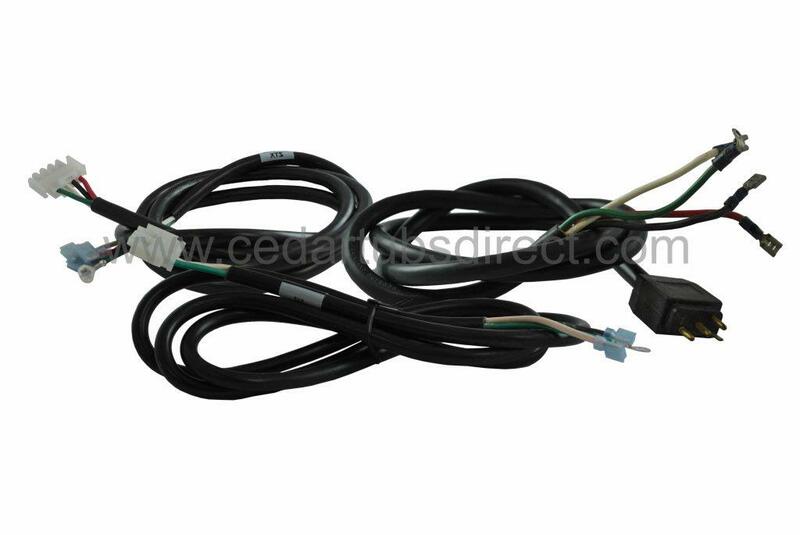 Although this spa pack can work at 120 VAC in which case it will produce 1.4KW of heat, it is primarily expected that it will be used at 230 VAC (requiring 30-60 AMP service) and will produce 5.5 KW of heat. One or more auxiliary heater, each producing 5.5kW can be slaved to the unit. 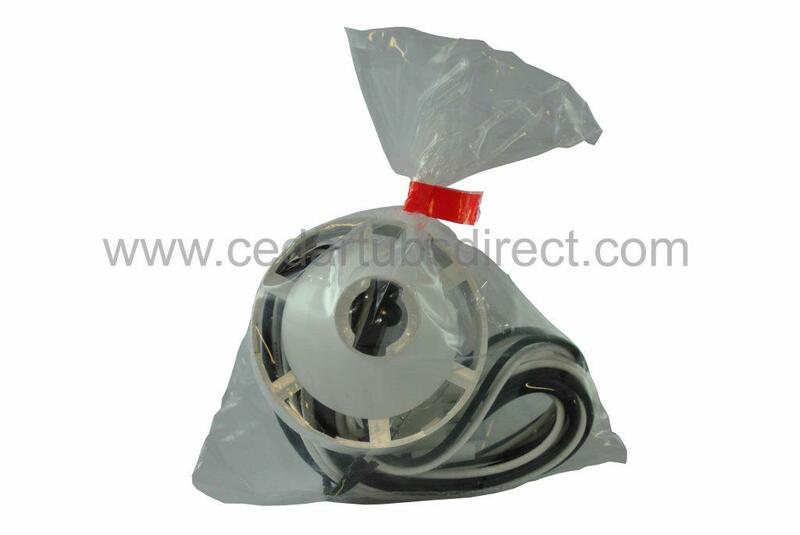 It fits standard 2" piping making it ideal to upgrade any older mechanical or digital spa pack. 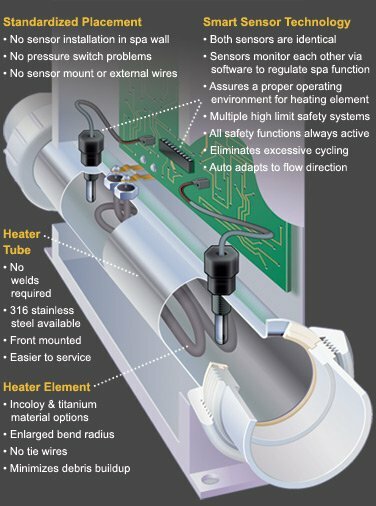 The Patented M7 Technology removes the need for pressure sensors and remote heat sensors common on other older spa packs. This unique technology allows the spa pack to be positioned in any location or direction (before or after the pump or before or after the filter). 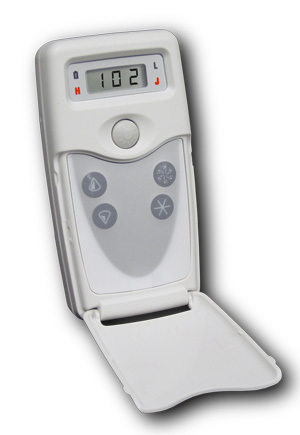 The M700 LCD digital topside control comes with 7 ft cable and includes Time, Mode/Prog, Warm, Cool, Light, Blower, Jets 1, Jets 2 buttons.Alternate lower cost ML400 4-button panel has Jets, Aux, Temp and Light buttons. The flow through heater tube must be a minimum of 23 USGPM if the heater is 5.5kW. This flow rate should be checked if your spa uses a small circulation pump such as those made by Laing, Grundfos or Waterway Mighty-Might. These small pumps when used with 1” piping typically cannot produce this flow. A 3kW heater element is available which reduces flow requirement to 13 USGPM, call us! 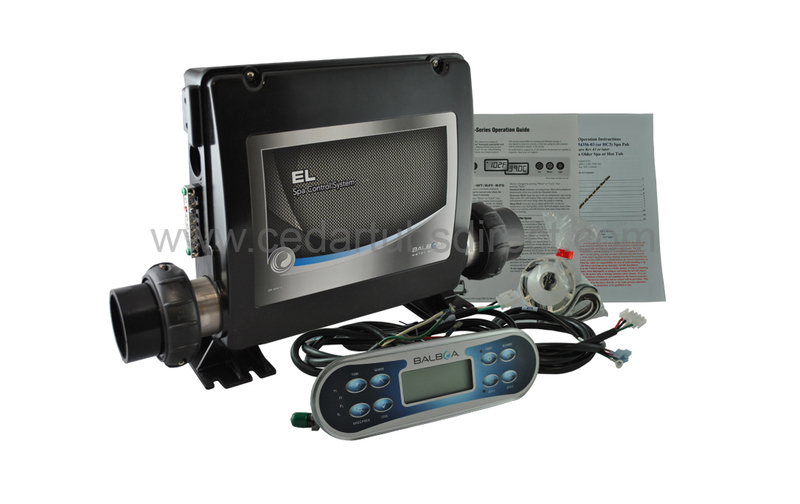 Pump supplying flow through heater must deliver 23 USGPM or more if heater is in 5.5kW mode. 3kW element is available requiring 13 USGPM, call us! What is the difference between the VS520SZ and the EL2001M3 spa packs? See the Balbao Spec Sheet comparison Matrix. 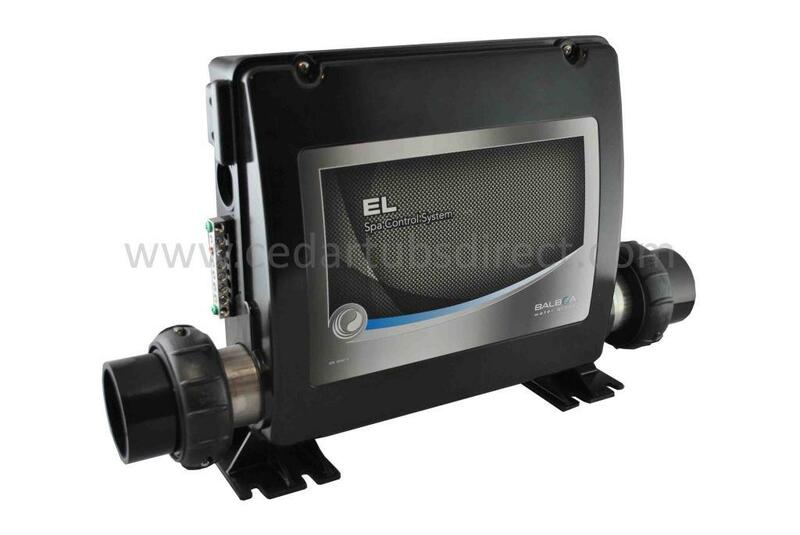 The EL2001M3 has more control features and has wireless RF control and monitoring capability which the VS series spa packs do not have. The ML700 LCD digital topside control includes an overlay that has the functions as shown above and dimensions are as shown below.